a : unselfish loyal and benevolent concern for the good of another: as (1) : the fatherly concern of God for humankind (2) : brotherly concern for others. Whenever I am asked to describe God, the first thing that comes to mind is the word love. Love describes every aspect of what God is, but not just love – perfect love. Because God is love he created mankind. A perfect God cannot be absorbed with self love, so God needed a place to manifest His love, and we are the lucky recipients. But what is perfect love you may ask. Perfect love is the love that loves the sinner and the saint equally, fully understanding that both are capable of sin and redemption, separating the sin from the sinner. What parent does not love their children when they make mistakes – you might dislike the thing they did, but you still love them. That’s the Father’s love for us. That’s how we are commanded to live this christian life. 1 Corinthians 13:4-8 is oft quoted at weddings and on Valentines Day, but if you replace the word love with God it’s easy to see the picture of the Father in those verses. 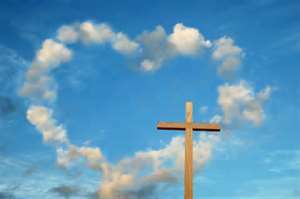 I’ll leave you with John 3:16, “For God so loved the world,that he gave his only Son, that whoever believes in him should not perish but have eternal life.” How much does He love you? To quote my daughter when she was about 5 years old, ” a whole lot and much, much, much”. I was reminded of this verse today, on Martin Luther King Day, because of one of the Reverend King’s quotes, “Darkness cannot drive out darkness; only light can do that. Hate cannot drive out hate; only love can do that”. As human beings we cannot survive and be healthy living in darkness. We need light for our well being. Sunlight provides Vitamin D, an important vitamin that mediates an innate immunity to microbial infection and skin cancer. Sunlight also helps you feel energetic, motivated and helps alleviate the wintertime blues. The same can be said for “Son light”. What can lift you up and make your spirit soar quicker than the light that comes from God’s only Son, Jesus Christ? Crack open the bible when you are down, and tell me you can’t find hope and joy in God’s word. The bible is full of promises that are yours, if you’ll just make Christ the “light of your life”. His light can drive out the darkness in your life, His Love can wash that hate away. Sunlight gives life here on earth, “Son light” gives life eternal.